Ms Theresa Richardson is a highly experienced ophthalmologist with over 26 years of experience, based in London. From her private clinics at the Western Eye Hospital, BMI Shirley Oaks Hospital and Charing Cross Hospital, Ms Richardson specialises in cataracts, macular degeneration and diabetic retinopathy. 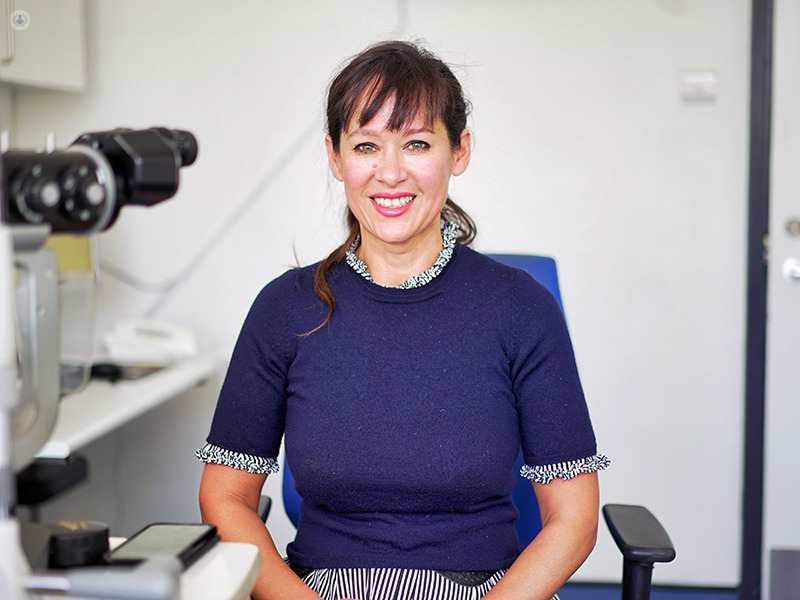 At present, she is the leading ophthalmologist for eye casualties in west London and has received numerous clinical excellence awards for her work with the NHS. Ms Richardson qualified in 1991 from the University of London with honours in medicine and surgery. She was awarded the Esther Frances Williams prize for best overall performance in her year, with more prizes won than any other student. She completed her specialist ophthalmology training at Moorfields Eye Hospital and the Western Eye Hospital, where she received a fellowship in retina conditions and uveitis. Ms Richardson has held the position of medical retina and cataract trainer at both Imperial Health Care Trust The Western Eye and Charing Cross since 2014 and has been consultant ophthalmologist at BMI Shirley Oaks Hospital since 2003. Ms Richardson is a highly esteemed teacher of cataract surgery, with more than 26 years of training experience, having performed over 25 thousand cataracts, with a complication rate of less than 0.04 per cent. Her background in psychology ensures that her patients are not only provided with quality treatment but with quality care that is supportive and understanding of their individual needs. What is uveitis and what causes it?